Inn by the Lake South Lake Tahoe California Tahoes Boutique resort the location with a beautiful view located directly across from Lake Tahoes shores five minutes to Stateline casinos and Heavenly Ski Resort. 100 guest rooms and suites many with glorious lake views. Complimentary continental breakfast shuttle service bicycles-Optional and ski lockers. 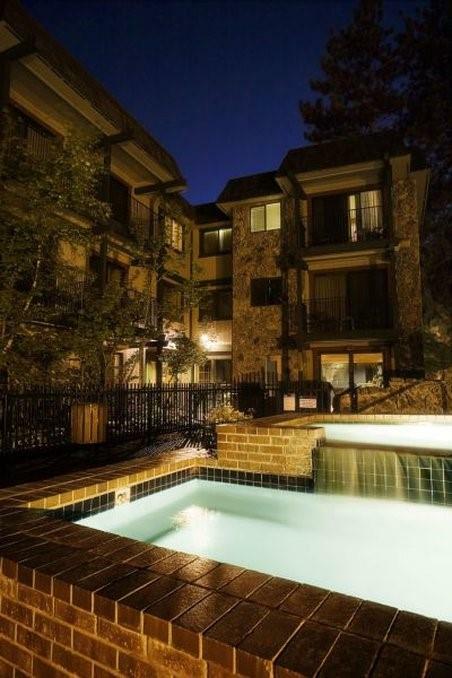 Outdoor heated-Seasonal pool and bi-level spa open year-round. Lovely alpine setting with towering pines and brick walkways. Tahoe Bowl and family fun center.